Summer at Black Butte is the start of wildfire season. 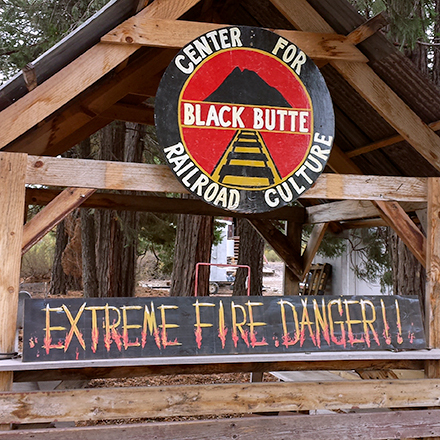 This year we put up a bunch of new signs warning visitors to the BBCRC of the danger we face. 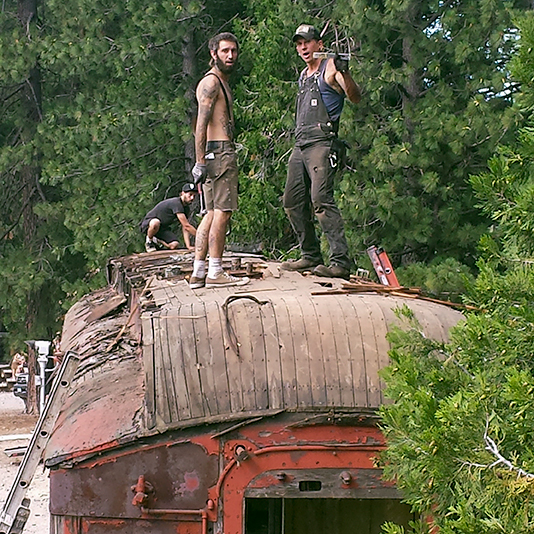 Here are more photos of the restoration process. 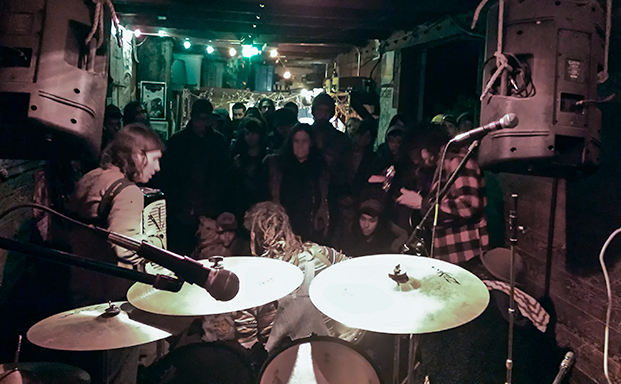 The Nomad Mountain Outlaws performing in the boxcar during our cold and windy Fall Work Party. 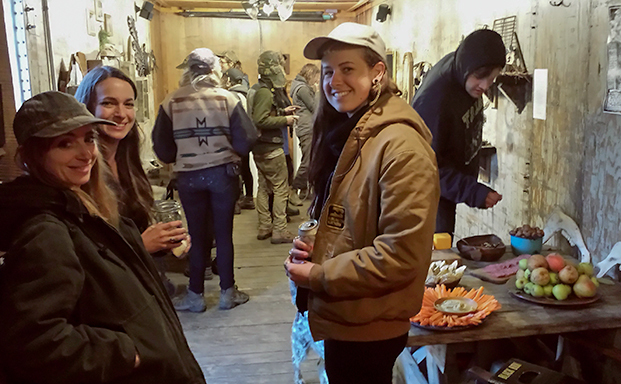 On Friday evening of our Fall Work Party we hosted the opening of the "Rails Trails and Bails" art show put together by Jamie Meyer and also featuring pieces by Southbound Smith, Rachael Olson and Logan Hirsch. Later on in the Fall we got started on the forest restoration work funded through our new CalFire grant. 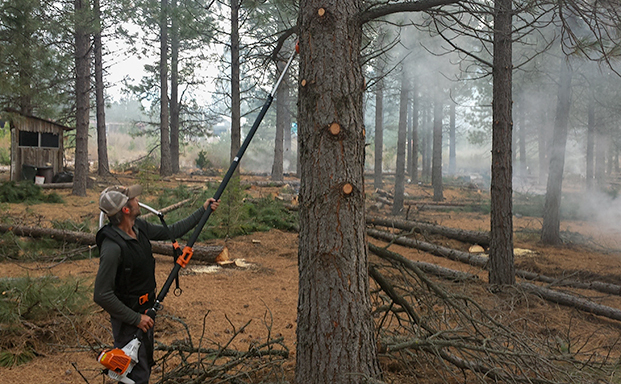 Here Kris L is using our new pole saw to cut off dead branches, helping the trees be better able to resist a wildfire should one happen. 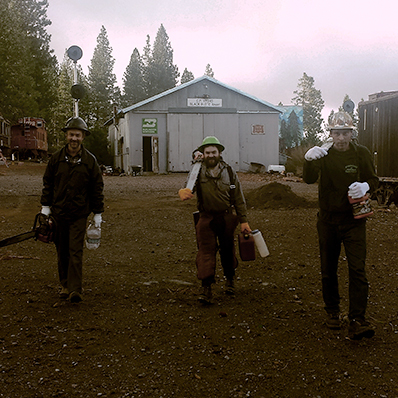 Black Butte Loggermans Association team — Kris, Chris and Brody, headed out into the woods for more cutting and burning. 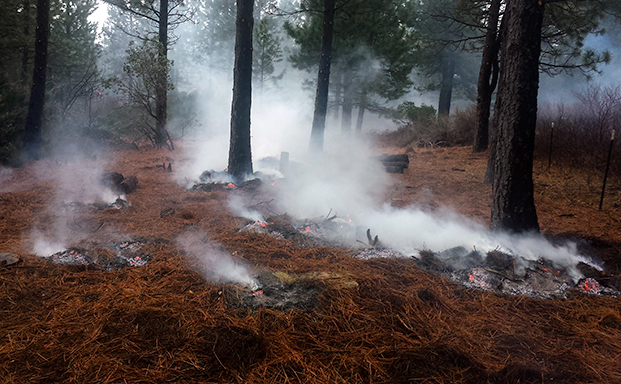 In places we are trying out small controlled burns, reducing the thick pine needle mat and adding nutrients to the soil. 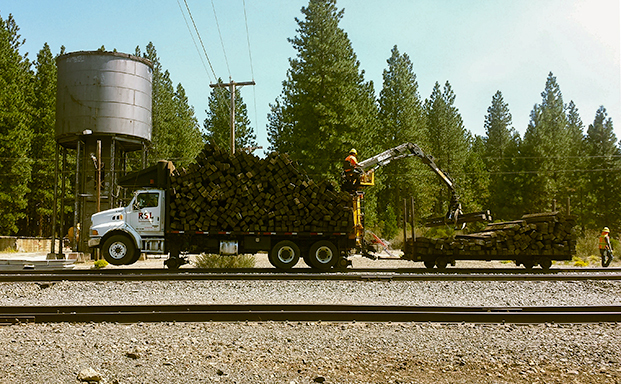 Meanwhile, out on the mainline, Union Pacific did a major tie replacement project in the Black Butte area. 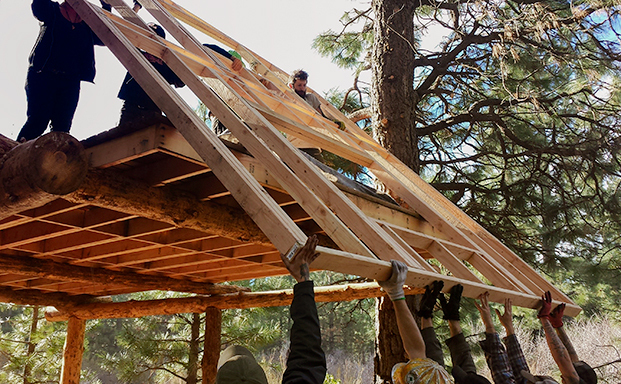 A treehouse takes shape... helped out by many hands.